What Are the Best Tips for Split Ends? Split ends can be caused by excessive brushing. 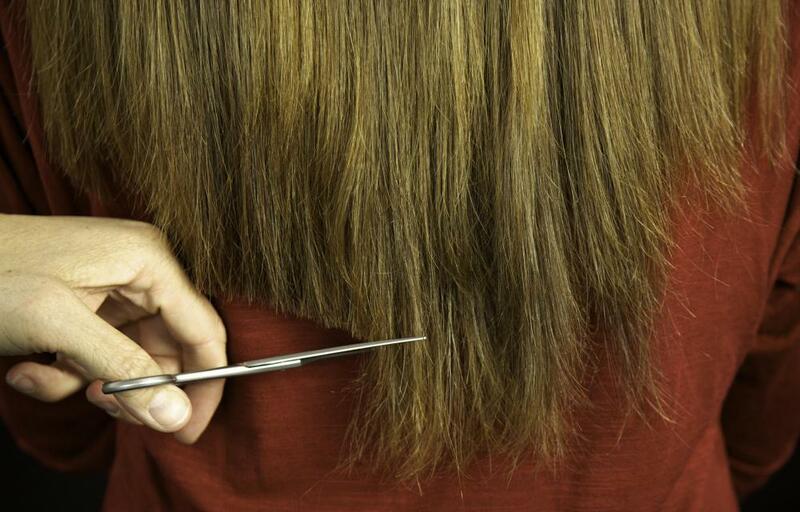 A hair cut may be required to treat split ends. Split ends occur when the loose end of a strand of hair breaks into two separate pieces. 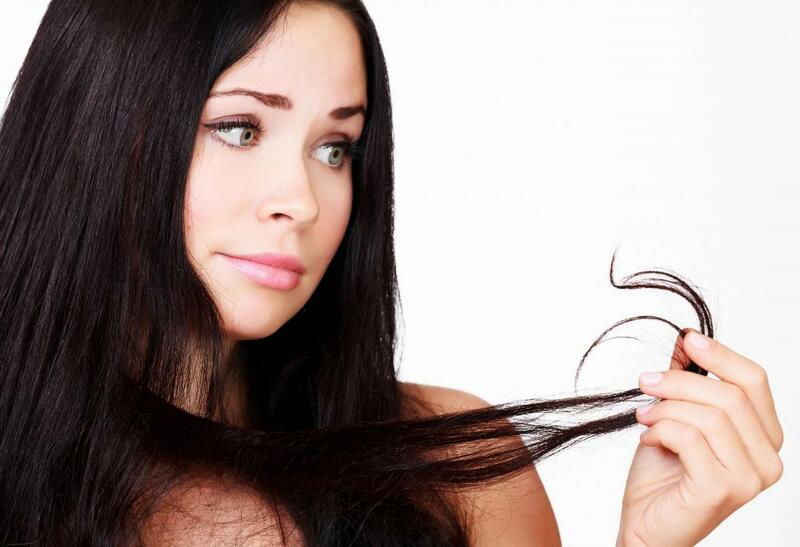 The occurrence of split ends can make hair look messy and frizzy, and may be the result of damage and dryness. There are many helpful tips for split ends that can help prevent, treat, and disguise them, keeping hair looking nourished and lovely. Preventing split ends can be a great way to avoid the entire problem. Generally, split ends occur when hair is damaged through improper treatment, or experiences extreme dryness. Once of the best tips for split ends involves cutting back on blow drying, straightening or curling treatments, all of which can cause damage. Using a heat styling spray before straightening or curling hair can also help protect the hair from heat-inflicted damage. Tips for split ends in people with chronically dry hair include increasing water intake, taking a daily multivitamin, and using a regular deep conditioning treatment to nourish hair. Prevention tips for split ends also include gentle processes for detangling and brushing hair. If hair is prone to tangles, use a detangling conditioner before combing hair, in order to avoid hair damage. Waiting until hair is dry or barely damp before brushing can also reduce the possibility of damage. Brushing should be minimized, and a soft brush, rather than one with plastic or aluminum bristles, may be better for those with dry hair. Once an end has split, the only permanent fix is to trim the hair. One of the most commonly cited tips for split ends is getting a professional hair trim every eight to ten weeks. It is also possible to trim ends at home. Using sharp scissors and a small section of hair, simply trim any split pieces slightly above the damaged end. Try to clip all split ends approximately an equal length, to avoid unevenness. It may also help to trim dark hair in front of a white or light colored wall, and light hair in front of a darker surface, to help increase contrast and make seeing the strands easier. If trimming is nerve-wracking and a professional haircut delayed, it is also possible to temporarily disguise split ends. The simplest way to hide ends is to style hair into a chignon or bun, so that ends are hidden from view. If hair is worn down and ends are visible, use a leave-in conditioner or hair mask before styling, and try to avoid the use of heat when styling hair. After a style is completed, run a bit of finishing cream through the ends of hair to reduce frizz and keep the split ends from sticking out. How Do I Prevent Frizzy Ends? What Are the Best Tips for Trimming Split Ends? What Are the Best Tips for Preventing Split Ends? What Are the Best Tips for Fixing Split Ends? How Do I Choose the Best Shampoo for Split Ends?